The purpose of this chapter is to propose measures required for promoting coexistence with multi-culture residents (MCR). In this chapter, the plans and ordinances established by the local governments in Japan were focused. As a result, a majority of the local governments targeted for the survey had declared the need for multicultural co-existence and multilingual communication of information in their plans. Further, on the web operated by the local governments, machine translation was used. 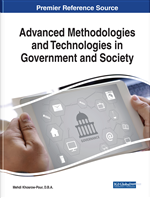 However, the study revealed that there were no local governments that communicated ordinances on the web in multiple languages. Not being informed about ordinances is detrimental to the daily life of foreigners residing in the local community and further can become the cause of increase in troubles with the Japanese in the local community. Therefore, this chapter proposes that the concerned local governments translate the ordinances ranked higher in the system of all ordinances on a priority basis and collaborate with the MCR to generate more precise expressions. Given the advancement of globalization today, an increasing number of people are emigrating from the country they were born in or from the country where people of their same ethnicity live, to other countries seeking economic affluence and a safe and secure life. Even in Japan, a country that is surrounded by sea, the number of resident foreigners is increasing every year. In any country and in any region, it is difficult to stop globalization. Local governments all over the world are facing the common challenge of fostering mutual understanding among existing local residents and people with multicultural backgrounds or multi-culture residents (MCR), rather than excluding them, and encouraging mutual acceptance. In Japan, Japanese residents (JR) and MCR are frequently experiencing each other’s culture through local events such as cooking classes and gymnastics exercises. Local governments have established many places for such experience-based cultural exchange. However, culture includes things that can only be expressed through language. These are ordinances. Ordinances are the norms of the region that regulate the rights and duties of the residents. If one does not understand the language accurately one cannot interpret the ordinances. Even for those people who cannot interpret ordinances correctly, if they violate an ordinance it is punishable by fine. Persons who do not know about an ordinance suffer disadvantages due to their ignorance. Ordinances are a part of the local culture that should be known to those who intend to live in the region. As a means of knowing the local culture, there are ways of finding information related to local governments by searching on the website. Most information about local governments in Japan is distributed in Japanese, but through the introduction of machine translation, it is possible to convert it into a language that users themselves find easy to understand. In this chapter, the examinations on the trend towards an increase in MCRs in Japan were made first, and examples of introduction of machine translation in Japan were also presented. Further, the results of surveys were described as status of communication of information in Japan’s basic local governments, some issues were extracted, and available countermeasures were proposed.